Today, when you order "Neo Coffee by Pablo Amira", you'll instantly be emailed a Penguin Magic gift certificate. You can spend it on anything you like at Penguin, just like cash. Just complete your order as normal, and within seconds you'll get an email with your gift certificate. "For anyone who wants to learn a reliable and easy reading system then I highly recommend this." 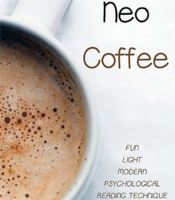 Neo Coffee is a new fun, light reading routine that can create a great mysterious moment of psychological introspection for your participant and audience. 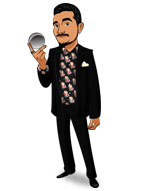 With a simple script, a visualization exercise and a common modern theme, you will be able to reveal someone's present state, desires, goals, tendencies and even predict their future in a fun manner. In the Neo Coffee eBook you will find the full routine, for single and multiple performance options and a possible extra kicker that will create an incredible and credible souvenir for your participant. If you want to create not just mindreading but solid moments of mysterious connection anytime, anywhere, with no props, Neo Coffee is for you.